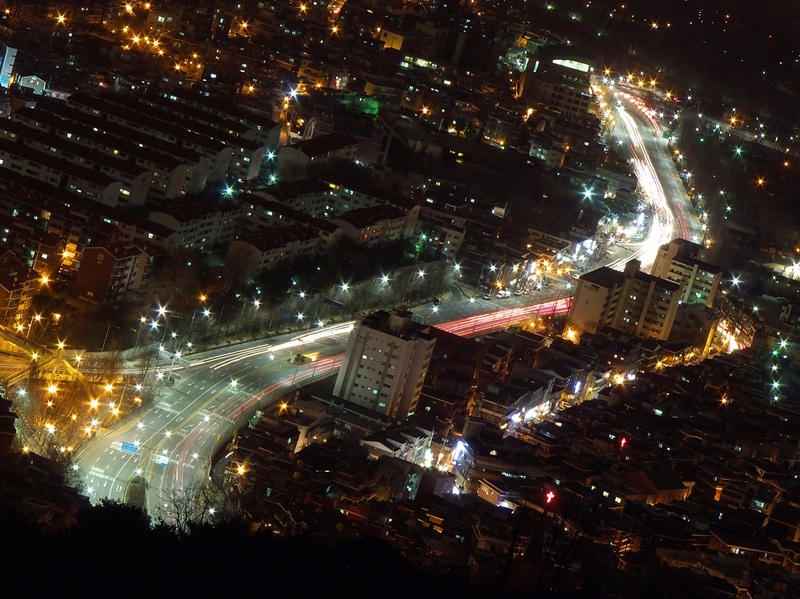 Seoul has to cope with an unusual urban planning program for a huge, modern metropolis: the northern side of the capital lies little more than 30 miles from the border of North Korea, within range of hundreds of enemy artillery pieces — a zone that Pyongyang has threatened to turn into a “sea of fire.” City planners have gamely built more than 23 square kilometers of bomb shelters in the South Korean capital as a precaution. While the growing threat posed by Pyongyang’s ballistic missiles, potentially with nuclear armament, is of greater concern, the effects of a sustained deluge of high explosive or chemical shells on a city with a population of 10 million — greater than New York City — is still hair-raising to consider. However, only a small number of North Korean artillery systems have the long reach to threaten Seoul from across the DMZ. Chief among them are North Korea’s 500 enormous 170-millimeter Koksan self-propelled guns. The combat-tested system can fling shells at targets as far as thirty-seven miles away when using rocket-assisted projectiles. The Koksan is a throwback to a class of enormous long-range guns that proliferated in the first half of the 20th century, with a mission of cracking open the heaviest fortifications and hitting high-value targets well behind the front lines, such as ammunition dumps, headquarters, logistical chokepoints and enemy artillery batteries. In the 1950s, these heavy guns were increasingly deployed on lightly armored self-propelled carriages, and also acquired the role of firing tactical nuclear munitions. However, systems such as the American 175-millimeter M107 and 203-millimeter M110 were phased out of service, because their mission was superseded by the use of air strikes, tactical missiles and even improved munitions used by smaller 155-millimeter artillery. However, the constrained, mountainous terrain on the Korean Peninsula and the heavily fortified nature of the demilitarized zone heavily favor the use of artillery. Indeed, American self-propelled artillery played an important role during the Korean War in repelling North Korean and Chinese human-wave attacks. Furthermore, North Korean troops can’t count on having air support at their disposal, nor other types of precision-guided weapons. 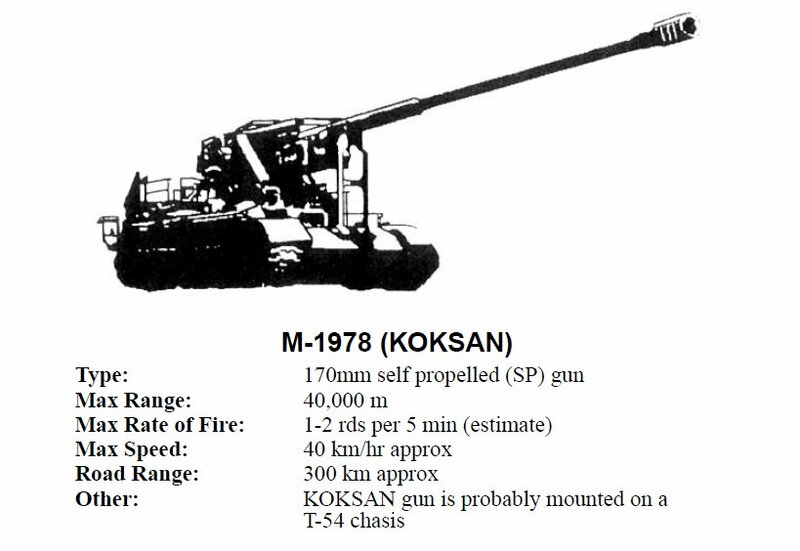 The North Korean weapon is of mysterious origin; even the designation M1978 Koksan is not its real name, but simply that of the North Korean county where it was first spotted by Western intelligence in 1978. Most indigenous North Korean weapons are derived from Soviet designs, but the Soviet Union never developed a 170-millimeter weapon. Instead, the Koksan may actually be derived from Japanese coastal guns or German K18 pieces used during World War II. 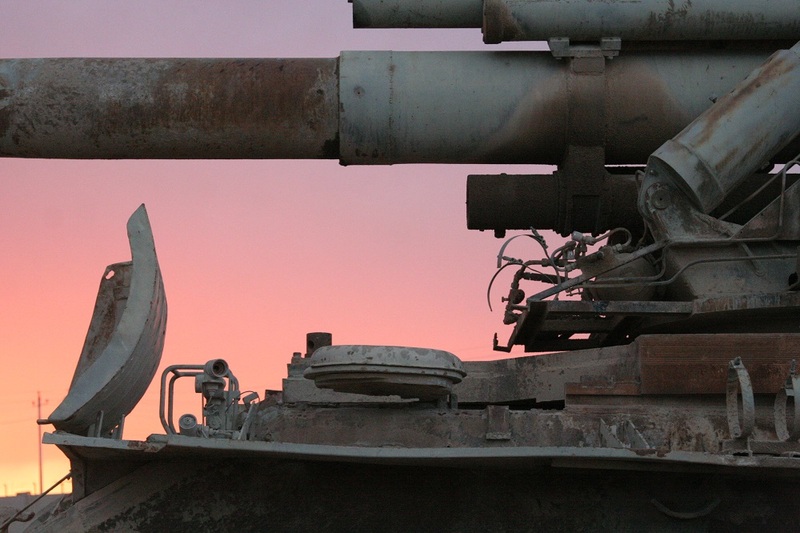 The M1978 mounts its enormous gun on the hull of a Chinese Type 59 tank — but the crew loading and operating the weapon are exposed to the elements and enemy fire, like the configuration of the American M107 and M110. The 1978 model also does not have any onboard ammunition capacity, and thus relies on soft-skinned ammunition vehicles or pre-positioned stores to sustain a bombardment. Of course, North Korean artillery would likely fire from Hardened Artillery Sites (HARTS) sprinkled across the border. Many are tunneled into the side of mountains, ingeniously designed for concealment and protection; some even accommodate living quarters. It’s hard to beat having a mountain between you and counter-battery fire. 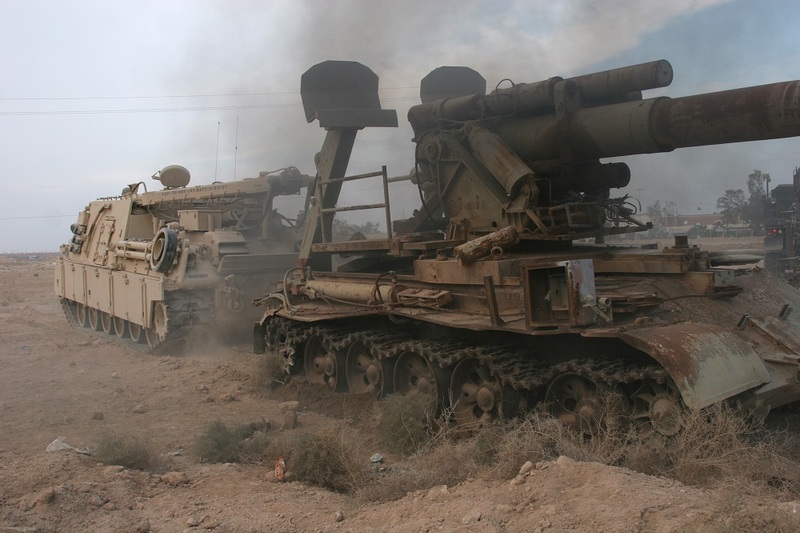 The Koksan actually has a track record of being used for strategic attacks, as in 1987 North Korea sold several battalions of the system to Iran during the Iran-Iraq War. The type still appears in military parades staged by Tehran; you can see photos of it here. In 1986, Iranian forces managed to capture the Al-Faw Peninsula, which lay next to oil fields in Kuwait — then seen as a major ally of Iraq. Yes, alliances in the Middle East can shift very quickly. The Koksans were therefore deployed to bombard the Kuwaiti oilfields, disrupting their production. Finally in 1988, Iraqi forces supported by chemical weapons launched a surprise attack during Ramadan and overran the Iranian positions. Several Koksans were captured and subsequently paraded and then inspected by American officers — who noted traces of the Iraqi chemical agents. Around that time, North Korea began deploying the M1989 variant of the Koksan, which featured a lengthened — and thus more stable — chassis with an enclosed cab for four personnel, similar to that of the Soviet 2S7 Psion system; one crew member is often seen in parades wielding a Strela or Igla man-portable surface-to-air missile. Another four ammunition loaders ride on accompanying vehicles. The M1989 also added onboard ammunition capacity of 12 rounds. This last feature could allow the M1989 to make an initial “burst” of fire as high as three or four rounds in a minute, before decreasing to a more typical rate of one round per minute. In 2012, the Nautilus Institute published a very detailed study arguing that the threat posed by Koksan and long-range 240-millimeter multiple-rocket launchers is exaggerated. More recently the National Interest’s Kyle Mizokami advanced a similar argument; both articles are well worth reading. To start with, even the long-reaching Koksan would have to be deployed on a very narrow stretch on the edge of the DMZ to hit only the northwestern edge of Seoul. The attacking batteries would promptly be subject to scouring counter-battery fire, air strikes and ground-based attacks. Furthermore, it took months of sustained bombardment to ravage cities such as Aleppo in Syria or Grozny in Chechnya, while a second Korean War would likely resolve itself in weeks. Additionally, it is far from certain that the North Korean military would concentrate firepower on civilian targets, as it would pay an opportunity cost of failing to destroy actual military targets, and also would likely cause the death of hundreds of Chinese nationals living in Seoul, incurring the wrath of Beijing. However, there are some qualifications to consider. First of all, Seoul has many times the population of Aleppo or Grozny, so casualty rates would likely be greater; nearly 24 million people, roughly half of South Korea’s population, are concentrated within the wider metropolitan area. Most casualties from artillery attacks come in the initial moments of the barrage before the victims have a chance to take cover; therefore, a short, unexpected barrage would still inflict a disproportionate number of casualties. Even the Nautilus report estimates casualties as high as 29,000 — even though such a death toll would not correspond to the city being “flattened.” Nonetheless, the effects of panic could lead to hundreds of thousands of refugees flooding limited road networks with calamitous consequences from both a humanitarian and military point of view, as proved to be the case during the Korean War. North Korean guns might also increase lethality, and spread chaos by making use of chemical warheads, which are believed but not confirmed to be available for the Koksan. Finally, if South Korea and the United States were compelled to expend disproportionate resources to counter the strategic artillery threat, then arguably the guns may have served their intended purpose. The presence of huge guns along the border underscores that a conflict between North and South Korea would involve a terrible cost in civilian lives. However, the threat posed by the Koksan needs to be kept in chilling perspective — the huge guns could inflict terrible suffering if turned on civilian targets, though not on the scale that Pyongyang boasts, due to limitations on range, logistics and the need to survive counterattack. Their use in an urban barrage designed to maximize body count would be of dubious military utility and trigger retribution, likely leading to the destruction of the North Korean regime, a prospect one hopes is appreciated in Pyongyang.